Ranveer Singh, Parineeti Chopra, Shah Rukh Khan... These Indian actors have all endorsed tourism for foreign countries. Tourism boards have long employed celebrities to promote visits to the state. However, it would seem that increasingly, Indian celebrities are lending their reach and influence to foreign countries as well. Yash Raj films have capitalised on Switzerland and its beautiful snow-capped peaks. In 2017, it was Ranveer Singh's turn - he became the first Bollywood celebrity to promote Switzerland's tourism board. A series of photos on his Instagram handle and on his stories, promoted tourism to the country. Setting a different kind of record, Parineeti Chopra became the first woman ambassador to join the 'Friends of Australia' advocacy panel. The panel is the Australia tourism board's way of maintaining ties with people whom they consider unique storytellers. She featured prominently in a series of ads that showcased different experiences in different Australian cities. This panel also features prominent Indian celebrities like Chef Sanjeev Kapoor and cricket commentator Harsha Bhogle. According to the official New Zealand tourism website, India is New Zealand's eleventh largest international tourism market. In 2015, Sidharth Malhotra was appointed as New Zealand's tourism ambassador to India. He made two visits to the country and the footage, which featured plenty of adventure sports, was used to promote their 100 per cent Pure New Zealand campaign in India. In 2018, Ileana D'Cruz was signed on to become Fiji's tourism brand ambassador. The campaign was titled #BulaHappiness and featured plenty of surf, sand and content on her official Instagram handle. Bright lights, music and dancing - these are some of the things we see prominently featured in SRK's films and his ads for Dubai tourism as well. 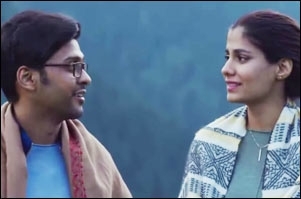 His association with Dubai dates back to 2016 with their #BeMyGuest campaigns, directed by Prakash Varma - the ad filmmaker who worked on the iconic Vodafone ZooZoo commercials. ALSO READ: Over 5.7 million views in 5 days: Is this really a tourism ad?